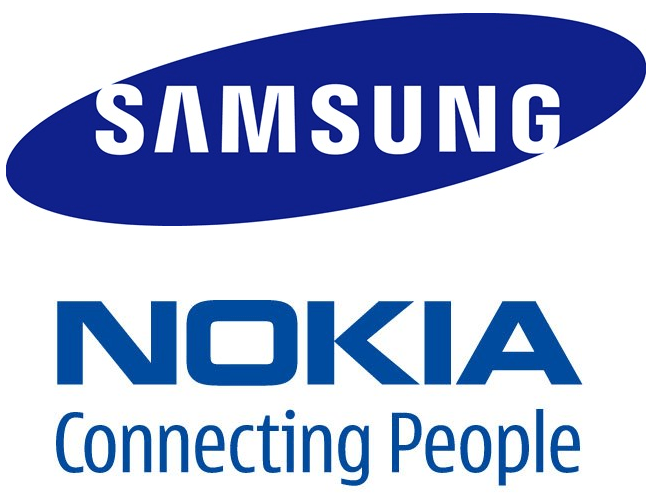 Does the Samsung-Nokia takeover rumor make sense? Nokia is no stranger to acquisition rumors, and the latest has the company being bought out by Samsung. The handset manufacturer is experiencing pressure as new companies are usurping its hold over cheap phone production – the New York Time says companies like ZTE and Micromax are seriously challenging Nokia profits. Amid the companies many public financial issues is a new report from the Wall Street Journal saying Samsung is interested in buying the company – a claim Samsung and Nokia have both declined to comment on. “It seems like a market rumor and we don’t comment on rumors,” a spokesman for Samsung says. Just last week, Nokia said that rumors it was being acquired by Microsoft were “100-percent baseless.” The attention did drive its stock up however, a boost the struggling Nokia likely enjoyed. So is this just another round of stock-boosting rumors or potentially a deal in the making? It seems suspect that Samsung, a brand that has successfully aligned itself with Android, would want to acquire the floundering Nokia. Samsung is poised to take on Apple as Android continues to grow its brand and improve its market position. Its Android handsets – most notably the Galaxy S series – are easily some of the most well-rated and popular on the market, and it’s ready to debut more. The Galaxy tab lineup, while it’s experienced bumps in the road, has easily been the most capable iPad competitor to date. And while it’s probably not something Samsung would take into consideration, it has some major issues with WP7 updates (although it should be mentioned that’s not surprising for Samsung handsets, which have become notorious for OS upgrade roadblocks). Another reason to be suspect is the recent Microsoft takeover rumors. It’s no secret that acquisition rumors occasionally have positive effects on company stock, as it did for Nokia recently. This could be nothing more than baseless word of mouth spread with the sole intention to give Nokia a little boost. Disclaimer: We’re leaning toward the “doesn’t make sense” side, but want to play devil’s advocate here. The only reason this deal could possibly make sense is if Samsung is interested in establishing itself not only as a top Android provider but the top Windows Phone 7 provider as well. A recent IDC report said that Samsung WP7 phones were “gaining traction” and also mentioned that the manufacturer’s “multiple operating system strategy” could have been a factor in its huge year: It had the largest year-over-year net gain out of Apple, RIM, HTC, and Nokia. And while Nokia’s various internal issues are a reason Samsung may steer clear, they could also imply the opposite: Nokia has been sounding pretty desperate, and it may be willing to sell to Samsung for far less than we’d expect. The company recently was forced to lower its projected outlook for the rest of the year, furthering explaining it expected second quarter sales to “be substantially below” expectations. Its most recent earnings call fell just short of depressing and shook investor confidence: Nokia went as far as to say that it won’t be setting annual targets for the time being.